Summer is in full swing, which means before you know it autumn will be right around the corner. 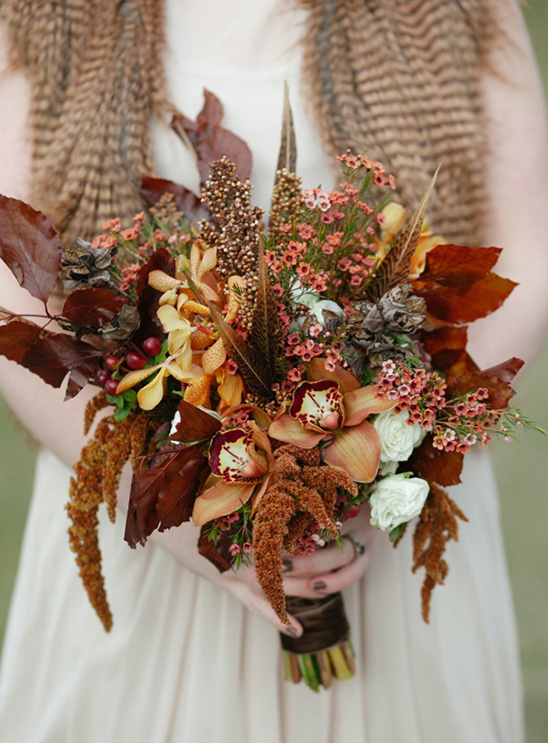 This gorgeous fall inspired wedding bouquet recipe from Cedarwood Weddings is full of deep tones, focusing on browns and oranges with subtle red and white accents. Photographed beautifully by Frenzel Studios it calls to the earth and is just perfect for fall and harvest weddings. 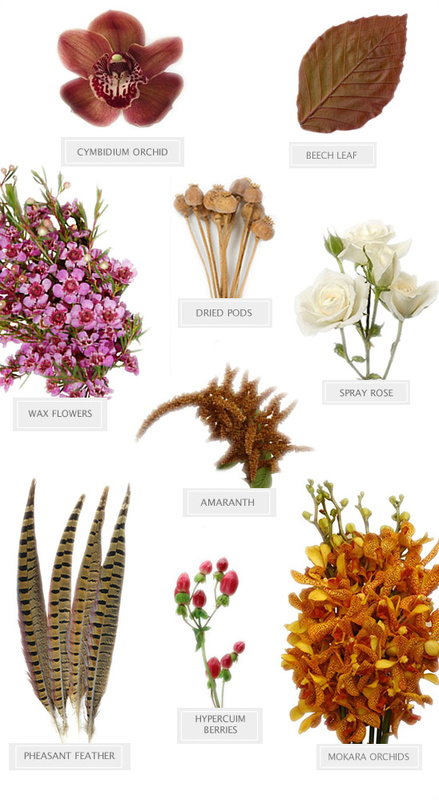 See our complete collection of bouquet recipes here.